I have previously worked on the identification and validation of new anti-viral or anti-inflammatory targets. Using my experience I plan to contribute to find new strategies to fight Alzheimer disease. 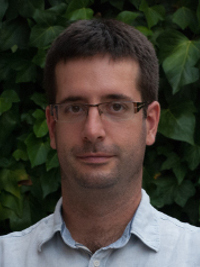 2012 – 2014 Postdoctoral Researcher at Fundació IrsiCaixa, Badalona, Spain. 2009 – 2012 Postdoctoral Researcher at the MRC Protein Phosphorylation Unit, Dundee, Scotland, UK. 2003 – 2008 PhD Immunology at Fundació IrsiCaixa (Universitat Autònoma de Barcelona). 2000 – 2002 BSc Biochemistry. Universitat de Barcelona, Barcelona, Spain. 1996 – 2001 BSc Biology. Universitat de Barcelona, Barcelona, Spain.